The rise of interest in buying Bitcoin in India has spiked since it being legal again. However, the process of buying Bitcoin in India is still quite confusing. This is why we have made an ultimate list of the best Indian Bitcoin exchanges, so that you, easily, can start investing in and/or using Bitcoins. This is a question many are asking us, and thus we’ve concluded a list of the 7 best exchanges for buying Bitcoin in India. And here it is! In this guide, you’ll find a list of the best Indian bitcoin websites. We list the pros and cons of each exchange so that you can make an educated choice of which fits your needs the best. 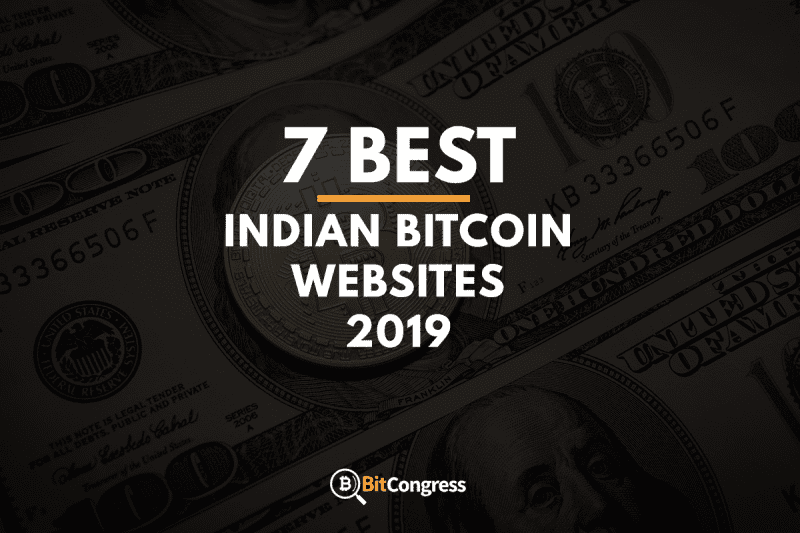 Whether you’re interested in buying, selling, or trading Bitcoin in India, one of our top 7 picks will fit your needs. This is a new exchange which is made by the team behind BillDesk, the oldest and most popular payment collection payment. The thing that stands out about Coinome is the fact that they have an E-KYC verification, exactly like the Indian telecom companies. This makes it easy to fill out the information required for the exchange. Right now, Coinome supports Bitcoin and Litecoin – the two largest cryptocurrencies right now. You can trade 24/7 and the exchange works flawlessly on mobile as well. This is great if you’re on the go and cannot wait to sell or buy more bitcoins. We found this platform really beginner friendly, which is a big plus. Sign up to a FREE Coinome here! Coindelta is a multi-cryptocurrency exchange which means that it supports Bitcoin, Bitcoin Cash (BCH), Ethereum (ETH), Litecoin (LTC), OmiseGo (OMG), Qtum (QTUM) and Ripple (XRP). This is the widest range of cryptocurrencies we have seen being offered by cryptocurrency exchanges in India, in fact, it’s actually the first Indian bitcoin exchange to offer this (we might see some other exchanges adapting this later). Their fees are the lowest in India which makes it a great candidate to conquer the Indian bitcoin market. They also offer 24/7 support which, in case of an error, can save the day. They accept NEFT, IMPS, RTGS and Payment Gateway. They allow for 50 orders/second and are scaling their operations to be able to allow up to 500 orders/second in Q4 2019. Not only is it good that the number of orders that can be done per second is increasing, it also shows that Coindelta is an exchange who CARES about their customers and strives to be the best one. We highly recommend Coindelta since they are striving to become the best Indian Bitcoin exchange, and in our books, it’s currently placed in second place. Sign up to a FREE Coindelta here! CoinSecure is one of the most popular Bitcoin exchanges in India – for a good reason. It’s an Indian exchange as well as a trading platform. The fees are low at a mere 0,3% per buy or sell. The low fee is especially good for those that are interested in trading since a completed buy and sell would only cost 0,6%. Low fees are something most people look for. You’ll need to do a KYC verification, which is a Know Your Client-verification that the government requires each exchange to do. There are no exchanges without it, and if you happen to stumble upon one – stay away, it’s probably a scam. Do not fear the KYC verification though, you’ll get a call – answer a few simple questions and voilá, you have access to the exchange. The dashboard shows advanced data and options, which can be quite confusing at first. As a beginner, we’d totally recommend spending a few minutes looking through their YouTube channel where they have tutorials for beginners. The advanced data and options are however great for the advanced Bitcoiners, which means that you can grow with the exchange – and not need to switch once you up your crypto game. 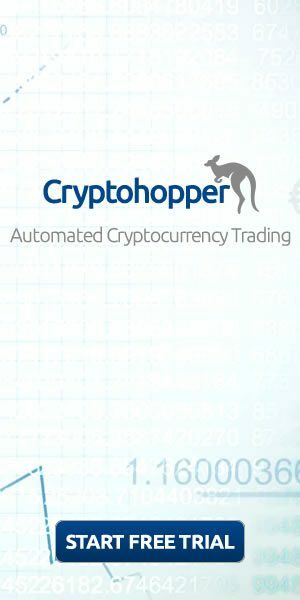 They have an Android app which makes it easy to do Bitcoin trades on the go, instantly. This can be good if you don’t have access to a computer and want to sell some of your Bitcoins for some reason. Sign up to a FREE Coinsecure here! If you’re interested in trading Bitcoin with your mobile, then Zebpay is the choice for you. Formerly known as BuySellBitco, Zebpay is an app-only exchange. They also allow for buying services using Bitcoin such as Amazon gift cards, Cafe Coffee Day, Flipkart and PizzaHut, you can pay with Bitcoin to recharge your mobile phone, DTH, and data card. They are soon adding the ability to pay for Broadband, landline & electricity bills. This exchange is quite different from the rest of the exchanges in this list. This is a great exchange for those that want to be able to use their bitcoins rather than only trading them, as well as for those that want to buy bitcoin in India with their mobile. It’s user-friendly and it is easy for a beginner to get started right away. You just download the app and register yourself, upload a picture of your PAN card and voilá, you can start buying and selling Bitcoin – right from your mobile phone. We highly recommend you to use this app, available for both Android and iOS, if you want an exchange that allows you to actually use the bitcoin you’ve bought. (P.s. make sure to use our referral code X to get INR100 for FREE!). Download their FREE app here! Get bitcoins worth ₹100 free on your first bitcoin buy or sell with referral code ‘REF61972611’. Next on our list of the best cryptocurrency exchanges in India is Koinex. With a wide set of cryptocurrencies offered (however, not as many as Coindelta), this is a great candidate for the top spot. They allow trading with BTC, BCH (Bitcoin Cash), Ethereum, Ripple, and Litecoin. The best part about this exchange is the time it takes to deposit INR – since they have automated the system, it doesn’t need to go through humans before being deposited – which greatly speeds up the process (since machines can work 24/7). The normal KYC verification takes about 24-48 hours, which might seem like a long time at first, but once you’re accepted, there’s no waiting time involved. Koinex has launched new services to make crypto trading possible in India. Get a FREE Koinex account here! Unocoin is often referred to as the most beginner-friendly of them all, and we highly agree. Getting started is easy and they offer a lot of features and consistently adding more. If you want to use Bitcoin as a SIP (Systematic Investment Plan), then Unocoin is the coin for you. You can set a daily, weekly and monthly budget for buying Bitcoin with. As of right now, you can invest 50,000 INR on a daily, weekly or monthly basis. As mentioned earlier, Unocoin has an Android and iOS app which makes it easy for you to trade Bitcoin even if you’re on the go. This is good if any news about bitcoin is dropped and the price plummets (so that you can buy more BTC in the dip, that is). Get a FREE Unocoin account here! LocalBitcoins is a peer-to-peer exchange that is available worldwide. It’s not an exchange per se, rather it is a marketplace where those who want to buy bitcoin connect with those that want to sell it. You can find many types of payment methods available such as cash, PayPal, WesternUnion, Amazon Gift Codes, to name a few. There are many that look into buying Bitcoin in India with PayPal, and for those LocalBitcoins is really the best choice to date. They have a 2-step authentication each time you log in, and yet another authentication if you log in from a new device. The only con about this exchange is the price of it. Bitcoin can often be over-sold on LocalBitcoins or priced way over market price. This can be worth it if you want to buy Bitcoin anonymously, but if you’re looking to buy it and hold it long-term, go for one with a lower price (fees). Buying Bitcoin with cash requires a physical transaction. Make sure to do it in a public space with people around you so that you don’t get robbed. Get a FREE LocalBitcoins account here! 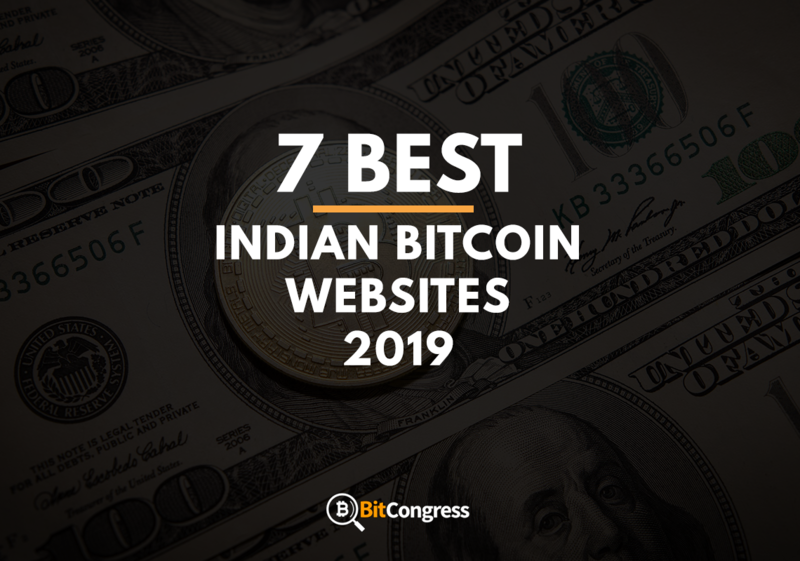 Now that we have reviewed the best Bitcoin exchange websites in India, it’s time for you to figure out which works best for you. If you want to buy Bitcoin anonymously, then LocalBitcoins is your best choice. If you want to buy the cheapest Bitcoins possible, then Coindelta is the one for you. We cannot simply say which one is the best for everyone since people got their own preferences and factors they value the highest. We hope we shed some light on how to buy Bitcoin in India. Good luck!